Thirty-five years ago, fighter pilot Oscar Santa Maria Huerta had a real-life Independence Day moment when he attempted to shoot down a mysterious light-bulb shaped craft, in what to this day remains the only documented case of a military aircraft firing on a UFO. 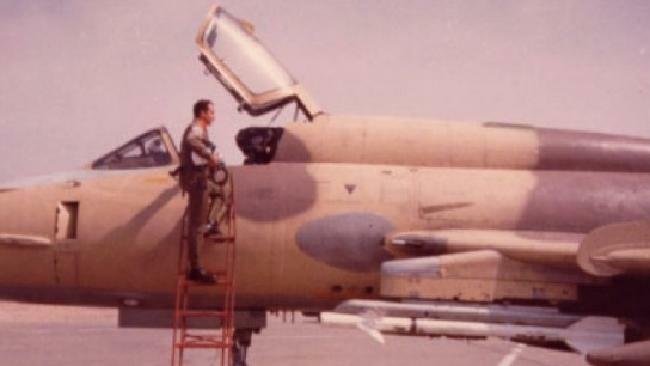 It was early on the morning of April 11, 1980, and the 23-year-old Peruvian air force lieutenant was preparing for daily exercises along with around 1800 military personnel and civilians at the La Joya Air Force Base, 1000km south of the Peruvian capital. Lt Huerta, a pilot with eight years’ experience who had been flying combat missions since 19, was ordered to take off in his Russian-made Sukhoi-22 fighter to intercept the strange silvery object that had been spotted floating near the end of the runway. The object was five kilometres away, hanging in the air about 600 metres off the ground, and was not replying to any communications. challenge to national sovereignty,” the now-retired Colonel writes in UFOs: Generals, Pilots, and Government Officials Go on the Record. Colonel Huerta was one of many researchers, former military officers and others who gave evidence at a major press event at the National Press Club in Washington in 2013, aimed at pressuring the US government to open its files on UFO encounters. “It had to come down. La Joya was one of the few bases in South America that possessed Soviet-made warfare equipment, and we were concerned about espionage,” he wrote. After takeoff, Colonel Huerta flew to 2,500 metres and came in for an attack run. “I reached the necessary distance and shot a burst of sixty-four 30mm shells, which created a cone-shaped ‘wall of fire’ that would normally obliterate anything in its path,” he writes. A diagram showing the encounter with the object. The object then shot rapidly skywards away from the base, prompting Colonel Huerta to activate the plane’s afterburner to give chase 500m behind. As they reached the city of Camana, 84km from the base, the object came to a sudden stop, forcing him to veer to the side. Turning up and to the right, Colonel Huerta attempted to position himself for another shot. He attempted the same manoeuvre two more times, and each time the object escaped by shooting upwards seconds before he could fire. By this time the object was 14,000 metres above ground. Colonel Huerta decided to attempt an attack from above, so it could not leave his target range, but the object shadowed him all the way up to 19,200 metres — well above his aircraft’s specifications. Running low on fuel, he realised he couldn’t continue the attack, so decided to fly close to the object to get a better look. It wasn’t until he was 100m away that he realised what it was. A rough diagram of the object. “I was startled to see that the ‘balloon’ was not a balloon at all. It was an object that measured about 10 metres in diameter with a shiny dome on top that was cream-coloured, similar to a light bulb cut in half,” he writes. “The bottom was a wider circular base, a silver colour, and looked like some kind of metal. It lacked all the typical components of aircraft. It had no wings, propulsion jets, exhausts, windows, antennae, and so forth. It had no visible propulsion system. Colonel Huerta made his return, gliding part way due to lack of fuel and “zigzagging to make my plane harder to hit, always with my eyes on the rearview mirrors, hoping it wouldn’t chase me”. After he landed, the object remained in the place he left it for another two hours, “visible to everyone on the base while it reflected in the sun”. Colonel Huerta says the craft was witnessed by everyone on the base, many of whom were required to give reports. A June, 1980 document from the US Department of Defence titled ‘UFO Sighted in Peru’, describes the incident, stating only that the object remains of unknown origin. A similar incident occurred in 1976, when Iranian air force General Parviz Jafari attempted to fire on a UFO but found his equipment malfunctioning. “My equipment was mechanical, and perhaps that’s the reason it could not be shut down, so instead, the object had to jump away at the last minute,” Colonel Huerta writes.